MOSCOW, September 29. /TASS/. Russia’s intelligence service, the FSB, uncovered a nationwide network of underground gunsmiths. 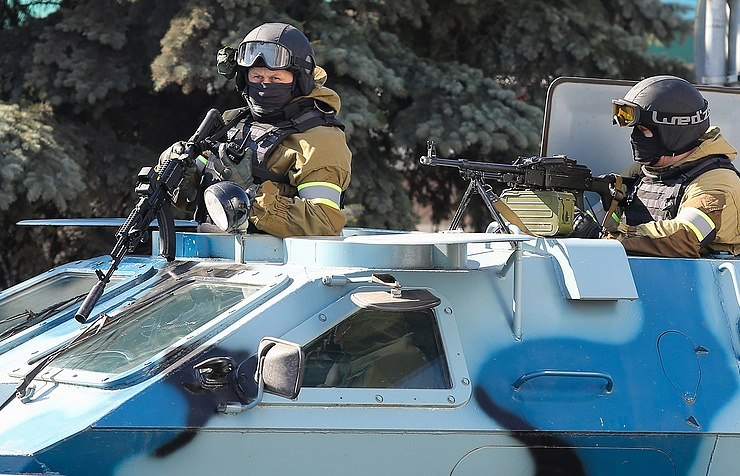 The service reports "in 21 regions of the country (from the central regions to the Urals) searches at homes of 62 individuals, involved in the purchase, production, modernization and sales of weapons, as well as smuggling them from Ukrainian soil." During the raids, the agency confiscated 181 Russian and foreign-made firearms: a Kalashnikov machine gun, 11 machine guns, 10 submachine guns, 38 carbines and rifles, 121 pistols and revolvers (Glock, Walther, PM, TT, APS, PSM, Nagant), even with silencers. In addition, grenades, basic parts and components to manufacture more than 200 weapons, more than 7,000 of ammunition of various calibers, more than 18 kg of explosives and associated ignition materials. 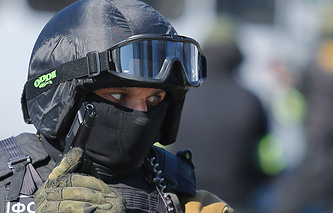 The intelligence service "shut down the work of eight workshops, which produced ammunition and modernized civil weapons into combat arms," the FSB’s public relations department said.